Please join our friends at GNO for this series of lectures and workshop to deepen the technical knowledge of private and public sector professionals to improve their ability to design, develop, install, and maintain green infrastructure for a vibrant region. Well-suited for those in the design, planning, engineering, and construction communities. Plants are widely used in green infrastructure projects in New Orleans. The understanding of how to use plants to improve water quality in these systems is developing at a fast pace nationwide. Bryan Seipp and Dan Somers, both with tremendous experience in the Chesapeake Bay area, will discuss their lessons learned with Wes Michaels, Principal of Spackman Mossop Michaels, who will translate these lessons to the local landscape. The discussion will focus on the best techniques for using plants to achieve water quality goals, and how these techniques can be adapted to our local climate and culture. Spackman Mossop Michaels have been selected to move as a finalist for “DIA Plaza and Midtown Cultural Connections” design competition. Forty-four submissions representing over 10 countries and 22 cities from around the world were received. 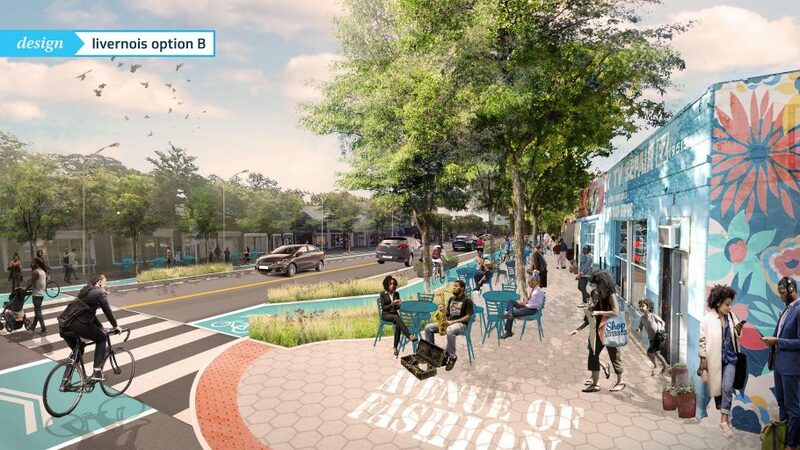 The competition focuses on enhancing and enlivening the visitor experience in the arts and cultural district and seeks an outstanding integrated design team for developing an urban and landscape design strategy to connect all 12 educational and cultural institutions in Midtown Detroit. 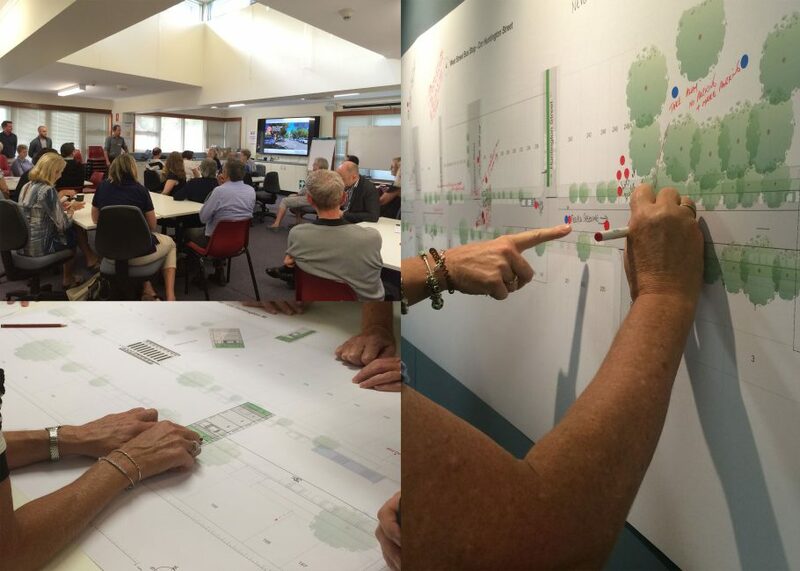 Spackman Mossop Michaels were recently involved in a community workshop hosted by North Sydney Council for stakeholders and local residents to have their say on the planned upgrade of West Street, North Sydney. 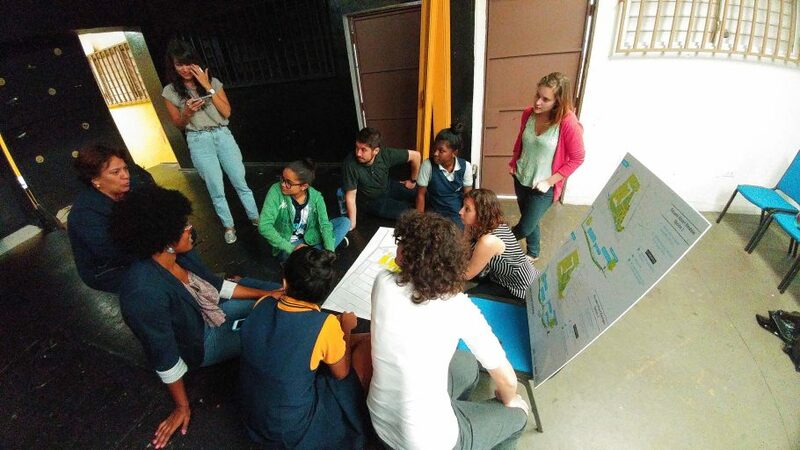 The workshop created a platform for community members to highlight interventions and ideas to enhance West Street and address community needs. This lively exchange of ideas provided a greater understanding for SMM in developing a concept design for West Street and will contribute to the area’s unique identity, structure, and function. This month Wes Michaels discussed the opportunities of environmental design, as part of the New Orleans Architecture Foundation lecture series. Wes shared his past experiences working with communities to reactivate, often redundant spaces, which contribute to community empowerment and resilience. 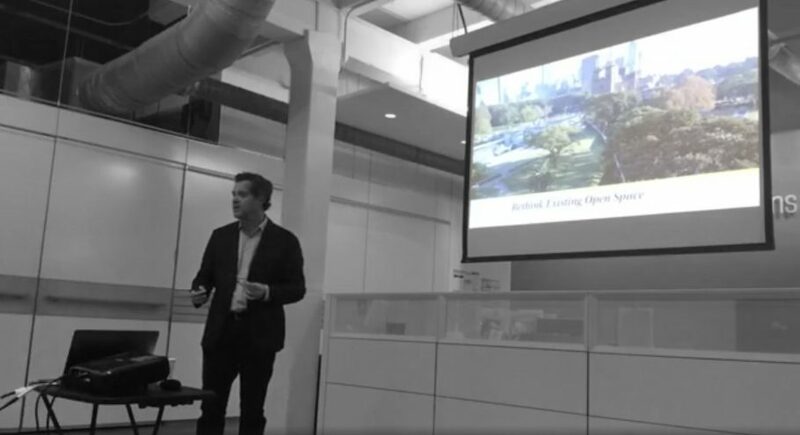 As a strong advocate for urban resilience, Wes went onto explain his driving design philosophy to re-connect communities to nature through engagement, programming and stewardship to activate streets and local areas. For the low-lying region of Martín Peña, the increasingly regular spectacle of roadways and public spaces disappearing beneath rising water is one of the indications of the challenges ahead for this area and many urban cities across the globe. 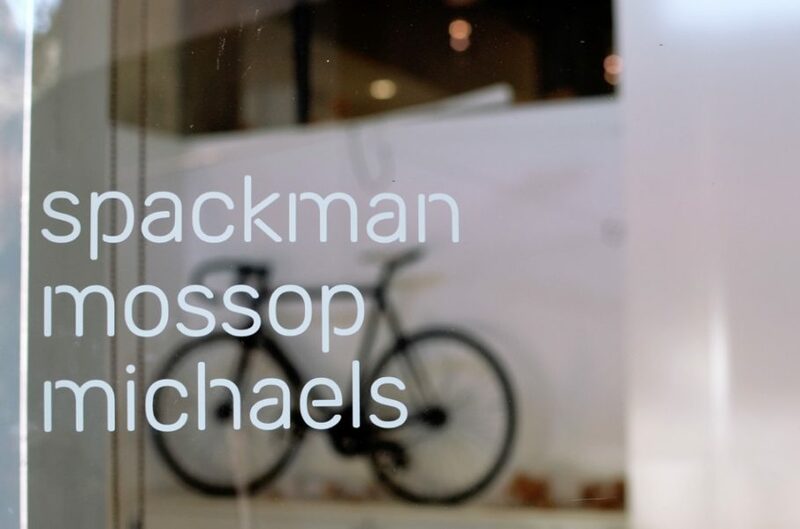 Recently Spackman Mossop Michaels has been involved in a series of workshops and community meetings to address these issues. The workshops are a unique process, fuelled by different and common needs, to achieve social, ecological and economic sustainability. Local knowledge and ideas have formed many innovative site-specific green infrastructure design solutions that not only shape places for community needs but also double as drainage infrastructure, collecting and storing water during periods of high rainfall. 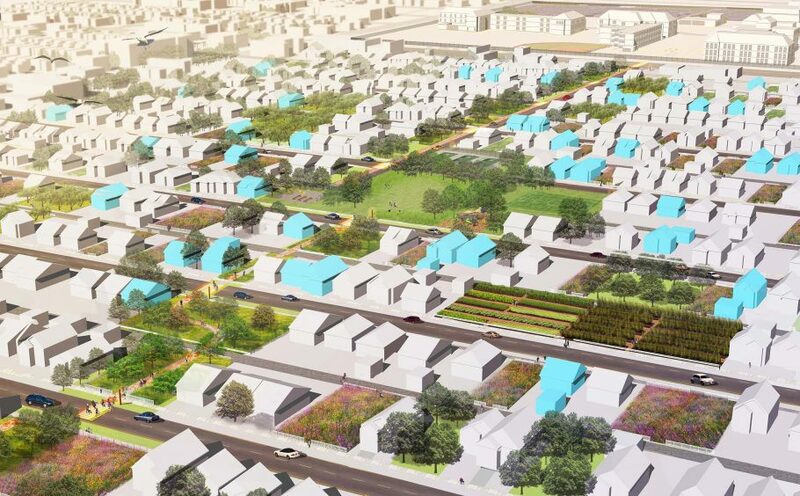 The result is a multiple of decentralised green infrastructure design solutions for six neighborhood water plazas along the Caño Martín Peña to alleviate flooding, stormwater surges and regenerate the riparian corridor. 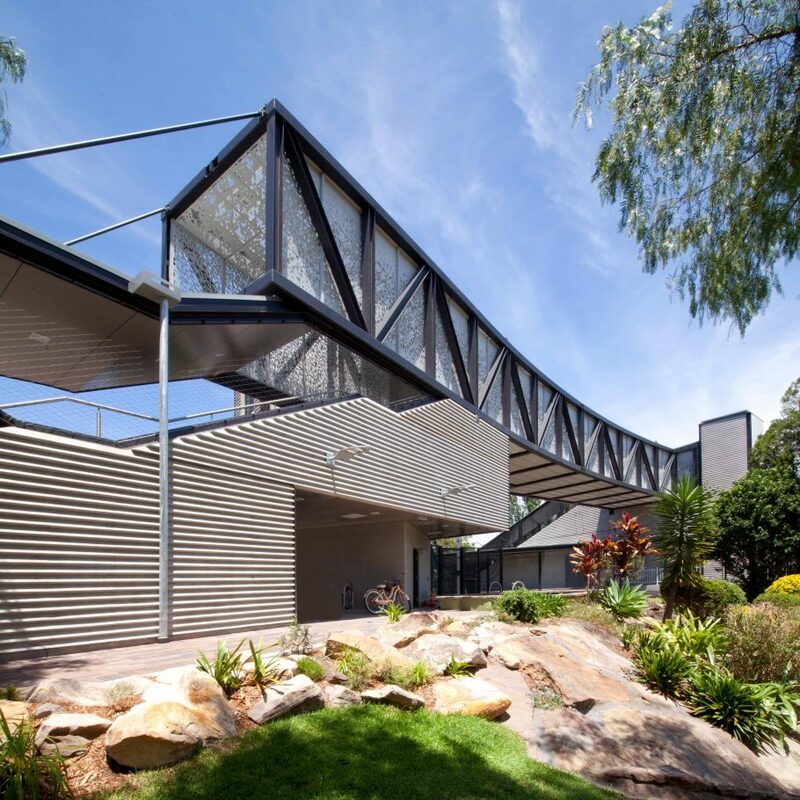 2016 Planning Institute of Australia ACT, Great Place Award. 2016 Civil Contractors Federation Awards – Category 3 for projects $5M-$10M, presented to Building Contractor, Woden Contractors. The Oatley Station Upgrade has been awarded the ‘Great Place Award‘ at this year’s Planning Institute of Australia Awards for Excellence. The project will now be entered into the national awards which will be announced in May 2018. It was an exciting day for students, teachers and the local community at the unveiling of the new green schoolyard at Paul Habans Charter School, on November 2nd. The ribbon cutting ceremony saw local stakeholders officially open the schoolyard to the delight of eager students who were the first to ‘test’ their designs. The project saw the early collaboration with students and SMM to reimagine their schoolyard. 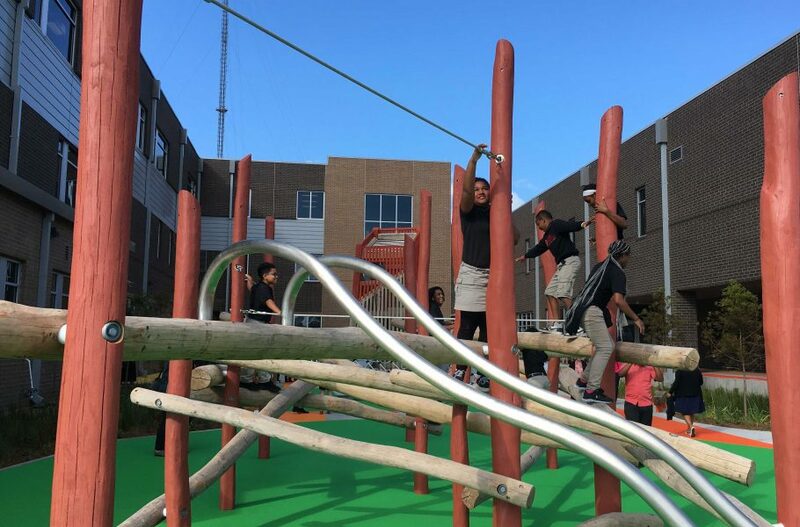 The students made sure that the new schoolyard was furnished with a slide, clubhouse, monkey bars, hammocks, and a lion statue – which are all paramount for fun! Hopefully, with the integrated stormwater design, the only detention in the yard will be that of water! With the site conforming to the new stormwater capture standards under the New Orleans Comprehensive Zoning Ordinance. 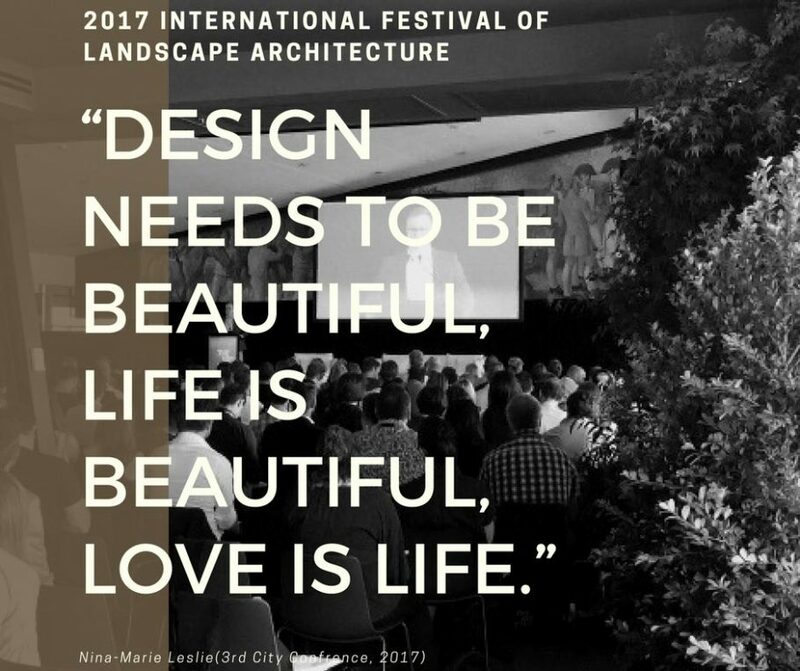 Sydney played host to this year’s 2017 International Festival of Landscape Architecture: The 3rd City, appropriate for a city that is internationally renowned as a vibrant pastiche of urban and regional landscapes. 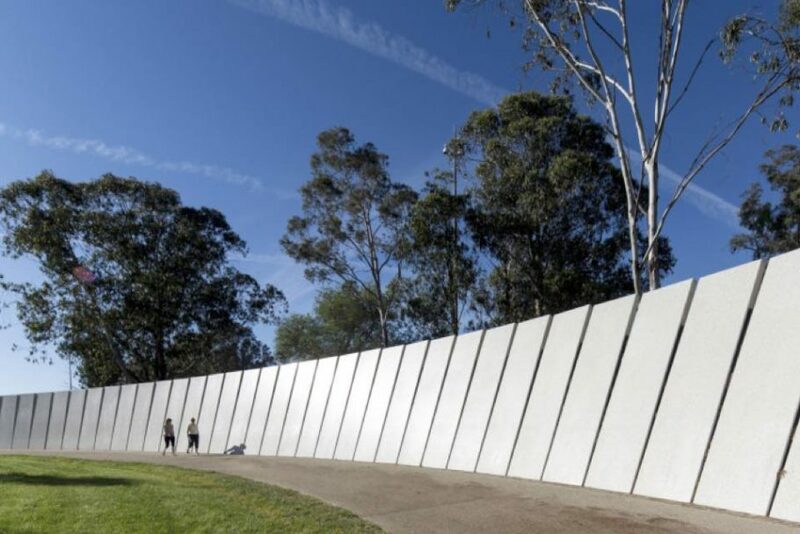 As custodians of the landscape, Sydney continues to stimulate conversation for the profession regarding the subconscious monologue of urban growth and the ever-blurring lines between the built environment and natural landscape. A collection of events, exhibitions, and pop-up spaces were scattered around Circular Quay to raise the profile and celebrate the profession during the 4th International Festival. Fitting, albeit not at the request of the organisers, that Circular Quay was under-going a streetscape upgrade that created an oxymoronic tone – especially surrounding the Future Cities pop-up. The conference demonstrated AILA’s spirit of enhancing international communication, fostering the exchange of research well beyond the boundaries of the Australian framework; the 3rd City Conference welcomed a global community of scholars and urban provocateurs. The two-day conference commanded a range of speakers from diverse backgrounds that included landscape architecture, architecture, urbanism, sociology, and science that provoked an intriguing conversation on the current and future milieu of cities from micro to macro scales. The program’s curatorial themes took inspiration from four concerns of the profession – eco-systems, infrastructure, community, and practice. This project creates a Central Park and Urban Greenway through an existing blighted neighbourhood using city-owned vacant lots. Lots were aggregated and developed to accommodate major open space improvement that is a part of a larger Landscape Stewardship plan led by SMM. SMM’s current Fitzgerald Neighborhood Revitalization project was featured in an article on Curbed Detroit. Elizabeth, a founding director of SMM, recently returned to Australia from the New Orleans office to begin her role as the Dean of the Faculty of Design, Architecture and Building at the University of Technology Sydney. 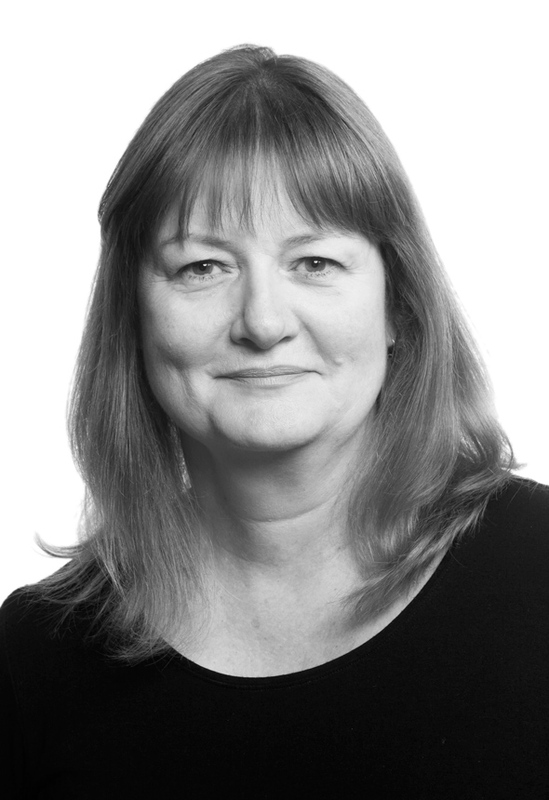 Elizabeth Mossop recently gave keynote addresses at the New Zealand Planning Institute and the New Zealand Institute of Landscape Architects (NZILA) national conferences. Elizabeth has also recently been a juror for the Riversdale Design Competition for the Bundanon Trust and the NZILA National Awards. We completed the annual Sydney to Wollongong ride for Multiple Sclerosis marking the 12th year of our participation in this event. SMM competed in the City of Sydney ‘Sydney Rides Challenge’ over March. This is a points-based competition aimed at encouraging people in Sydney to get active, ride a bike and enjoy its benefits. SMM came second place in the category 20-50 employees. 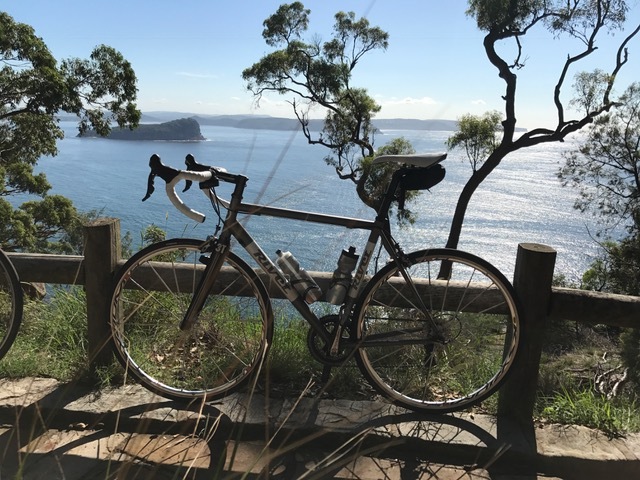 The cyclists of SMM again competed in the Bobbin Head Classic on 26th March, through the scenic Ku-ring-gai Chase National Park and Bobbin Head. There are a number of distance options to choose from. Rider fundraising goes to Lifeline and number of other charities. Eladio Hernando, Fergus McCarthy and Lewis Haig designed a land art sculpture entitled ‘Pesu,’ as part of NKA Foundation’s 2017 Land Art Competition. If successful, the team will be travelling to Ghana to build the sculptural landform along with the other top entries. The NKA Foundation runs art and mud house design projects in Ghana, Mali and Tanzania focusing on sustainable development and volunteerism. Another SMM designed cycleway is under construction on Lodge Road, Cremorne. 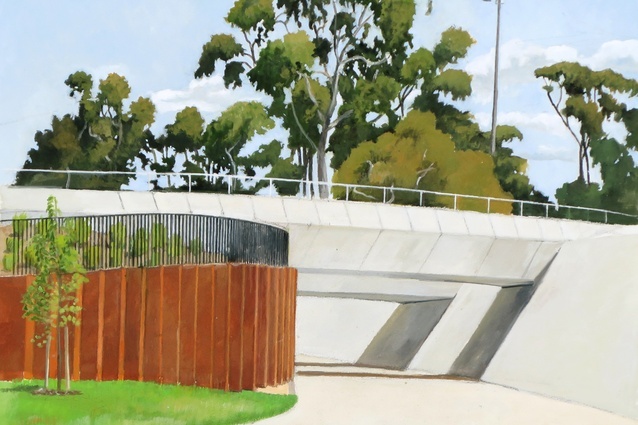 North Sydney Council is one of few councils investing in cycleway infrastructure outside of inner Sydney and the inner west. The cycleway forms part of the strategic network between Cremorne and North Sydney aimed at encouraging people out of their cars. Michael Spackman, Elizabeth Mossop and Doug Robb joined international speakers at the NZILA Small Urban Conference, 6th– 7th April, 2017 in Wellington, NZ . The conference has four themes: Opportunistic Urban, Wild Urban, Advocating Urban and Moving Urban. Michael and Elizabeth discussed community scale infrastructure using SMM projects as examples. Doug discussed the role Landscape Architects play in mediating conflicts between large-scale infrastructure and local communities. This project creates a Central Park and Urban Greenway through an existing blighted neighborhood using city-owned vacant lots. Lots were aggregated and developed to accommodate major open space improvement that is a part of a larger Landscape Stewardship plan led by SMM. SMM is working with the U.S. Environmental Protection Agency’s providing design assistance to complement the efforts of ENLACE, an environmental restoration and social justice initiative working with communities around the Caño Martín Peña (CMP). The focus for the project is the Buena Vista Santurce neighbourhood on the northern bank of the CMP tidal channel. 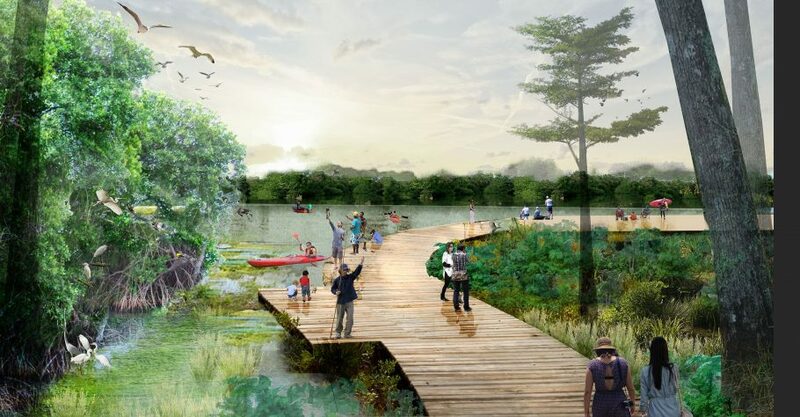 The project is intended to help with the integration of green infrastructure into much-needed open spaces to address stormwater management for low-lying waterfront communities undergoing a major ecosystem restoration project. 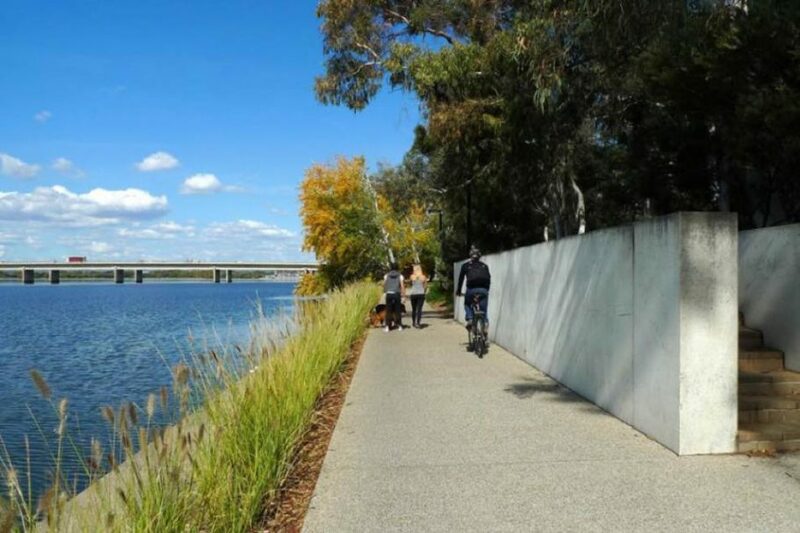 Located within Canberra’s Parliamentary Triangle, between the National Gallery of Australia and Kings Avenue bridge, the project replaces a dangerous at-grade crossing on busy Bowen Drive with a pedestrian and cyclist underpass, completing the final link in the ‘Bridge to Bridge’ loop around Lake Burley Griffin. Bowen Place Crossing was recently exhibited in the Rhode Island School of Design exhibition in the US. Detroit the former ‘Motor City’ is now being revitalised by sustainable initiatives including urban greening and active transport. 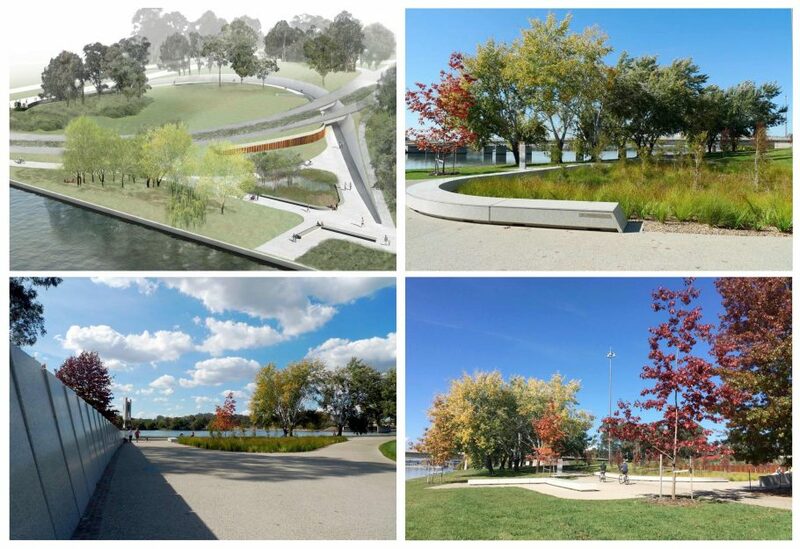 The City of Detroit has engaged SMM to create a public realm plan for the Livernois/McNichols corridors in northwest Detroit. SMM is currently investigating the overall identity of the corridor, urban tree canopy, urban design, streetscape design, bicycle and pedestrian mobility, parking, renovation and future development opportunities, lighting, signage, critical nodes and gateways.